Uneventful year for new cell sites in 2009. Check our Twitter feed for more frequent updates. 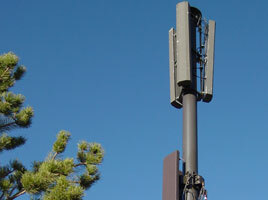 2009 was an uneventful year for new cell sites in the Reno area. T-Mobile was most active adding the most new cell sites and turning on their 3G voice & data network in 2009. Cricket added coverage in the Spanish Springs area. Otherwise, all other carriers did not add coverage via new cell sites this year according to our sources. For 2010 Verizon Wireless has a new cell site planned for southwest Reno near the Washoe Golf Course. AT&T has a cell site planned to improve coverage in the Somersett area of northwest Reno. In the new year posts to this website will occur as new cell sites are known, and other major carrier news is announced. For more frequent updates, check out our Twitter MicroBlog Updates in the left column of this website, or follow us from your Twitter account @RenoWireless. Coverage is MUCH better in South Meadows. It is also better in south Reno going up Mount Rose HWY around the Chevron station, Monte Rosa Estates, etc. Also better going up HWY 395 North of North McCarran. Other than that the coverage isn’t any better than ATT. Inside large buildings like Atlantis Casino and the Eldorado Casino, T-Mobile is worse than ATT. T-Mobile has no service at times, whereas ATT had low signal (1-2 bars) but did not drop to no service. With only 5 fewer sites than T-Mo and 850 Mhz, ATT has Reno covered quite well overall as you well know. T-Mobile is also worse between Gold Ranch and Truckee– drops a call where ATT does not. What I have found is that quality of service has been noticeably better. I drop fewer calls overall (not just in South Reno) and have not had any calls where only one party can hear the other talking and the other party hears silence (happened occasionally on ATT). Calls on T-Mo’s GSM sound better than on ATT GSM (maybe AMR HR vs. AMR FR?). ATT’s 3G sounds great but it kicks you back down to GSM so often that it seems many calls would end up there. I have not had delayed voicemail messages like I would sometimes get with ATT. Fewer “Call Failed” messages, etc. Overall, T-Mobiles network seems to provide a better quality of service, with the only noticeable weakness being the In-building coverage in certain large buildings. Spanish Springs – We have a business account out there and we are out in Spanish Springs 3 days a week. T-Mobile has much better coverage in the South end of Spanish Springs, especially in the new Spanish Springs Town Centre shopping center with the Costco, Home Depot, etc. AT&T has 1 bar or “no service” in some of these businesses while T-Mobile has a strong signal. 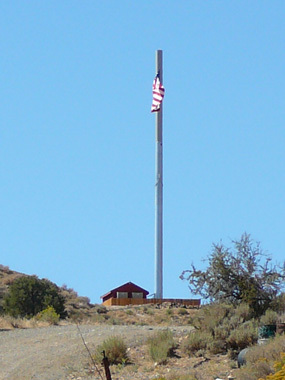 AT&T has recently added a cell site in Floriston, California, filling a coverage gap that previously existed along Interstate 80 between Reno and Truckee. CID 1308. AT&T Wireless has announced that they have launched a new Mobile TV service in 58 markets nationwide, including Reno. The new service requires a new exclusive handset. In a press release, AT&T has announced that it will be adding 80 new cell sites this year further expanding it’s higher-speed wireless network. No specific details on Reno were announced. After years of complaints and waiting, AT&T has finally improved coverage in the Damonte Ranch and Zolezzi Lane areas with a new cell site which is co-located on an existing tower behind the Wal-Mart on Damonte Ranch Parkway. CID 6296x. As reported a few weeks ago, phones on the AT&T network in the Reno area are now showing 3G data coverage. AT&T has now posted PDF maps showing 3G coverage in the Reno/Tahoe/Carson City areas. 3G coverage is now shown as an overlay on top of their regular coverage map. In the past few days we’ve had reports of AT&T 3G capable phones showing the “3G” icon, instead of the “E” (Edge) icon throughout the Reno area. AT&T advertises average data speeds of 400-700 Kbps on their 3G, HSDPA network. 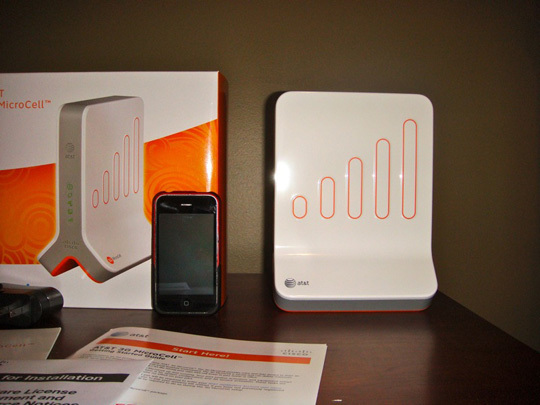 When AT&T officially launches 3G wireless service in the Reno area, they will join Sprint, Verizon and Clearwire who already offer 3G wireless broadband speeds in the Reno area.